This Corvette is an all original, unrestored, garage find time capsule! 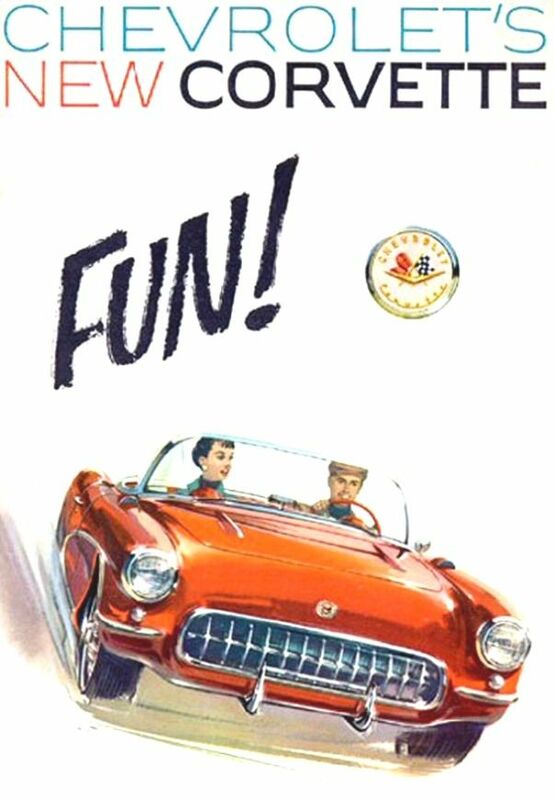 1957 was the first year for the 283 SBC engine, 4 speed manual and was the 2nd year Chevrolet started to focus on performance. The 283 engine currently in the car was originally mated with a 1957 powerglide transmission and single 4 barrel carter carburetor. This leads us to believe the original engine was changed out at some point in time most likely in the 1960s. Everything under the hood is era correct and looks like it has been in the car a long time. Original factory winters dual 4 barrel intake manifold, Carter carburetors, valve covers and heads are all there! The technology on this car is just fascinating to inspect. The tach is driven by a cable on the generator and there is a fresh air system that works off of a pipe that catches air when the car is moving. It then passes air along into the cab. A full set of factory gauges include; speedometer, tach, water temp, oil pressure, fuel, amps and a clock. Manual brakes and steering really help you become one with the car and the road. If you are looking for an all original 1957 corvette look no further! Visually the 1957 model was a near-twin to 1956. Engine displacement increased to 283 cu in (4.6 L), fuel injection became optional, and a 4-speed manual transmission was available after April 9, 1957. Fuel injection first saw regular use on a gasoline engine two years prior on the 1955 Mercedes-Benz 300SL "Gullwing". Although the Corvette's GM-Rochester mechanical fuel injection used a constant flow system, as opposed to the diesel style nozzle metering system of the Mercedes', the Corvette's engine nevertheless produced about 290 bhp. This was underrated by Chevrolet's advertising agency for the 283 bhp at 6200 rpm and 290 lb?ft of torque at 4400 rpm 283 small-block V8 "One HP per cubic inch" 1 hp per 1ci slogan, making it one of the first mass-produced engines in history to reach 1 hp/in³. Pushed toward high-performance and racing, principally by Zora Arkus-Duntov who had raced in Europe, 1957 Corvettes could be ordered ready-to-race with special options. Fuel injection was in short supply and 1,040 Corvettes with this option were sold. Rare options: RPO 579E 283 hp engine with fresh air/tach package, RPO 684 heavy-duty racing suspension, RPO 276 15 by 5.5 in wheels, RPO 426 power windows, RPO 685 4-speed transmission.